This statistic shows the distribution of Canada's production of platinum group metals in 2017, by type. 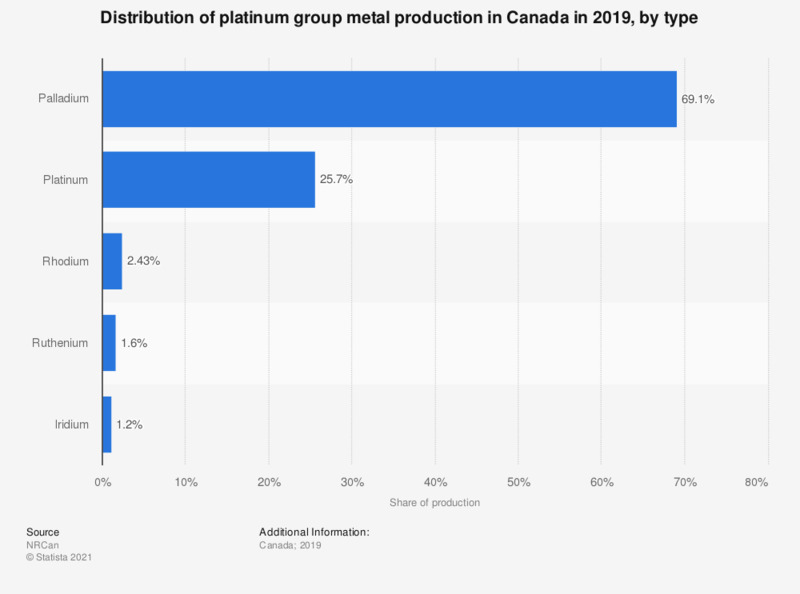 In that year, palladium was the most highly-produced platinum group metal in Canada with a 70 percent share of the overall platinum group metal production. ** Less than one percent.